Thousands of tons of native plant seeds, often collected by hand across vast expanses of wildlands, are used annually in restoration following catastrophic wildfires, mining, and other anthropogenic disturbances. Unfortunately, despite our best efforts, restoration projects often fail for a variety of reasons, including a limited understanding of the factors most critical for seed germination and seedling emergence. The publication of the U. S. National Seed Strategy for Rehabilitation and Restoration in 2015 emphasized the need to improve the effectiveness with which our finite and valuable native plant seed resources are being used to ensure that our restoration objectives can be reached. 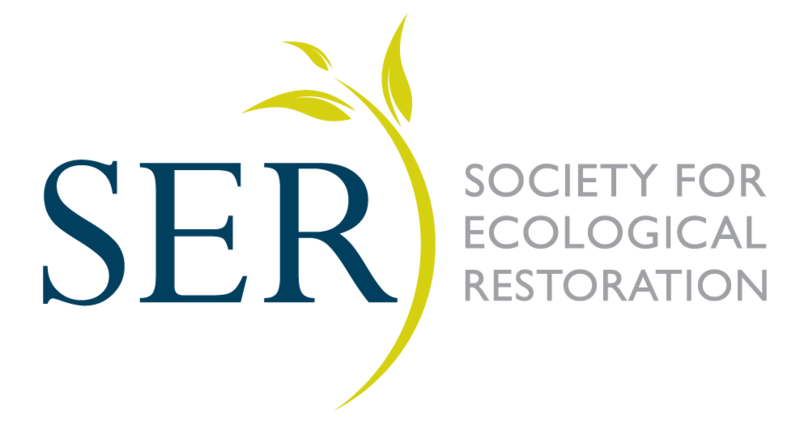 Improving restoration outcomes requires substantial, cross-disciplinary research efforts, which can be sustained through the establishment of working partnership across a diversity of institutions. Botanic gardens are often thought of as places that showcase the beauty and diversity of plant life, but more seldom as institutions that can provide critical research and learning opportunities in places where exposure to these may be limited. However, botanic gardens are uniquely positioned to contribute to global restoration and conservation efforts through their botanical expertise and technical infrastructure. The Chicago Botanic Garden has established a number of collaborative partnerships with regional educational institutions and national programs (like the Research Experience for Undergraduates funded by the National Science Foundation) and leads a prominent summer internship program that exposes students from underrepresented groups to plant biology and conservation through research. By fostering close interaction between the interns and their post-graduate student mentors, the participants not only learn about the research process from hypothesis formulation through experimental design, data collection, analysis, and presentation of their findings but also become intimately engaged in plant conservation and restoration ecology. Summer garden interns Deidre Keating and Remy Amarteifio investigate seed dormancy of four species native to the Great Basin. Among the dozens of students involved in the Chicago Botanic Garden’s internship program this summer, Deidre Keating (California State University, Sacramento, CA) and Remy Amarteifio (Oakton Community College, Des Plaines, IL) have been exploring the questions of seed dormancy and germination through research projects focused on creating ways of making seeds of difficult to germinate native plants “restoration ready”. To do this they are testing numerous techniques to break dormancy and to understand the conditions needed to ensure germination. Their research findings have immediate and practical outcomes - shedding light on new techniques that can be readily applied to seeds prior to use in restoration projects - with the ultimate goal of enhancing the likelihood of seed germination and seedling survival. Intern: Deidre Keating, California State University, Sacramento, California, USA. Research Topic: The influence of light and a smoke-derived compound (KAR1) on germination of Wyoming big sagebrush - a keystone plant species. “Keep calm and score on” is the motto as Deidre evaluates germination responses of Wyoming big sagebrush. Q: Can you please describe what program you are part of and why you wanted to intern at the gardens this summer? A: I chose to apply to the Chicago Botanic Gardens Research Experience for Undergraduates (REU) Program in part because of the extensive amount of research being done in conservation-related biology and the collaborative community and expertise at the Plant Conservation Science Center. Q: Can you briefly describe the experiment(s) you are conducting? A: I have completed an experiment to test whether seed germination of Wyoming big sagebrush is reduced by darkness and whether germination is responsive to the smoke-derived compound. Next, we further tested whether a relationship between dosage and germination response exists, and if so what is the minimum concentration needed to improve germination. Q: What do you find most interesting about the research you are doing? A: I've immensely enjoyed learning the fundamentals of seed ecology research and discovering the history of the establishment of this field. Beginning to design experiments, interpret results, and communicating with other scientists has been a challenging and rewarding experience. Plant physiology and the subtleties of it fascinate me and I see seed biology as a major component of that continuum. Considering the influence of every aspect of an experiment on the results and trying to minimize the impact and bias is an exciting and consuming challenge to me. A: Sagebrush is an important keystone species in the Sage-steppe ecosystem of the Great Basin. Being one of the most imperiled in North America, successful restoration and conservation of the remaining communities is of central concern to land managers and restoration practitioners. As the collection and sowing of native seed can be so expensive and time-consuming, much higher germination efficiency would be ideal to maximize restoration. Our current experiment reveals the potential to increase germination of sagebrush seeds that are not meeting minimum light requirements using a smoke-derived compound (karrikinolide). This approach has potential because seeds may not meet minimum light requirements due to seed enhancement technologies such as pelleting or priming or due to placement in the field. Q: What have you learned about restoration, native plants, and the importance of seeds? A: I’ve learned a lot! To be blunt, I really didn’t know a thing about the logistics of restoration or the amount of research that still has to be done. Through participation in the Conservation & Land Management Workshop hosted by CBG, I had my first exposure to some of the problems that researchers, government agencies, and practitioners face when restoring native plant communities. The history of the Seeds of Success project, as well as the goals of the project themselves, were particularly instrumental in my developing an understanding of the importance of seed ecology research. Some of the most notable gains I feel I’ve made have been learning about the variation in dormancy classifications of seeds and the importance of preserving genetic variation in both the stored germplasm and in native plant communities that are restored. Reading more articles and seed-specific literature has made a large impact on my understanding of the complex interactions between climate, soil conditions, the plant community, and disturbance events (like wildfires!). The same set of conditions can have very different outcomes on distinct families, genera, and even species of native plants depending on their evolutionary history. It sounds like common sense to me now, but understanding the uniqueness of seeds and the amount of knowledge and work required to germinate them and to elucidate the processes involved, has blown my mind! Research Topic: Developing scalable techniques to break physical seed dormancy for species important for restoration of the sagebrush-steppe ecosystem. A pneumatic seed scarifier can be used to break physical dormancy. An imbibition test can be used to measure seed water uptake after scarification to better assess treatment effects even before germination tests are conducted. A: Through taking an undergraduate independent research course at Oakton Community College (OCC), I earned the opportunity to participate in OCC’s internship program in a lab and of my choosing. I chose to intern at the Chicago Botanic Garden because I wanted to participate in research that I knew little about and wouldn’t have other opportunities to explore. A: My project focused on the physical dormancy in three species Dalea ornata, Astragalus filipes, Lupinus arbustus (Fabaceae) native to the Great Basin of the western US. These species are desired for restoration but are difficult to establish reliably from seed because of dormancy, which prevents water uptake and germination. Therefore, my project focuses on testing the effectiveness of various scarification techniques (like freeze-thaw cycles, the use of boiling water, and abrasion manually or pneumatically [using air pressure]) for breaking dormancy. Techniques that were found to be effective can be used to treat large quantities of seed in restoration projects, hopefully leading to more plants germinating and surviving. A: I find it is very interesting that a small scratch (abrasion) on the surface of a seed coat can mean the difference between germinating or remaining dormant for years. A: From this internship, I have learned about the need for and the challenges associated with ecological restoration and the important role native plants play in this process.